I read this book a month ago but I've been behind on my blogging to say the least! This book was lovely. 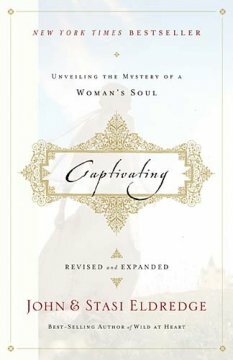 I received a free copy of Captivating to review from BookSneeze and I'm glad I did- I wouldn't have bought it but feel enriched having read it. The premise of women as wonderful, special daughters of God is refreshing and enjoyable. Although my person beliefs aren't quite the same as the authors, I loved how clearly they described Christ waiting at the gate- just waiting for us to come unto Him. I also found myself agreeing with their ideas of what women want from men and our innate, God-given differences. This was uplifting and inspiring- a great read.